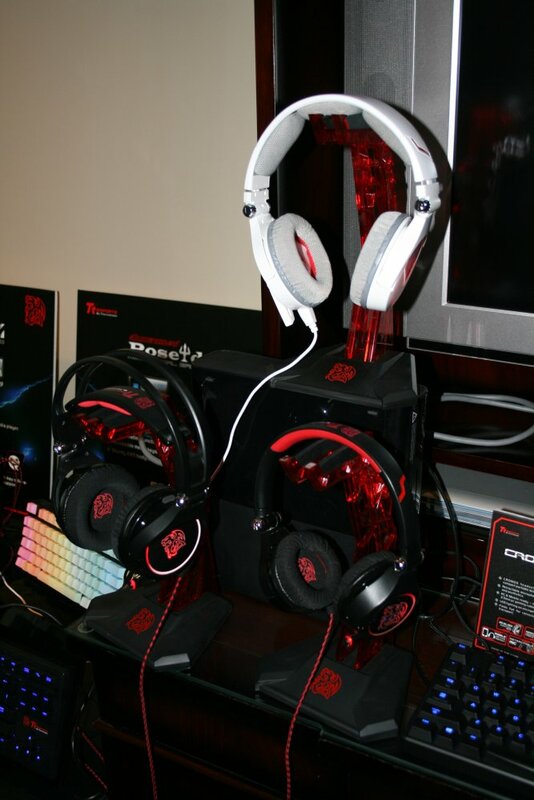 After our meeting with Thermaltake during CES 2014, we came away impressed with their desire to further penetrate the enthusiast market. Thermaltake showed us several prototypes of upcoming chassis and water cooling goodies they hope to bring to market in 2014. 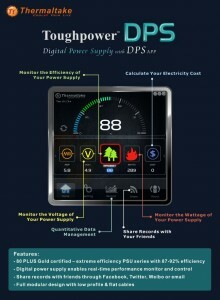 Thermaltake has also been working on a new line of digital power supplies (DPS) and software to accompany them. 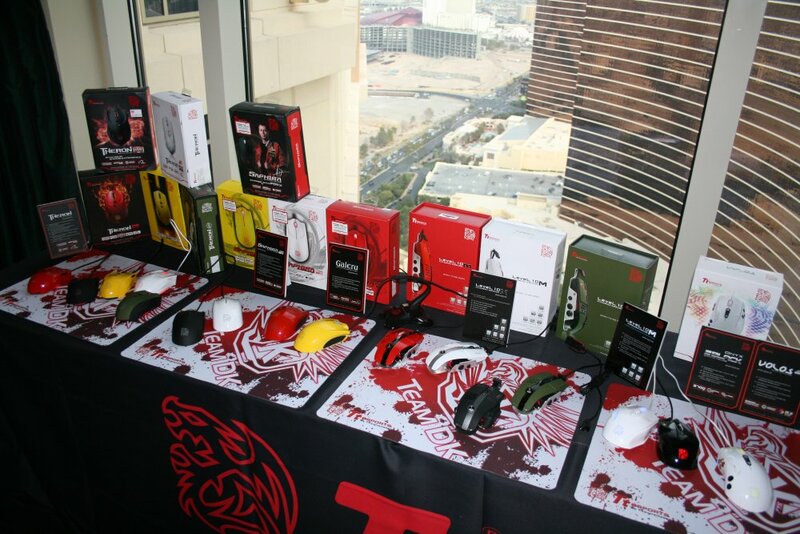 Additionally, we had a quick look at new keyboards, mice, and gaming headsets that should be available by Q2 2014. 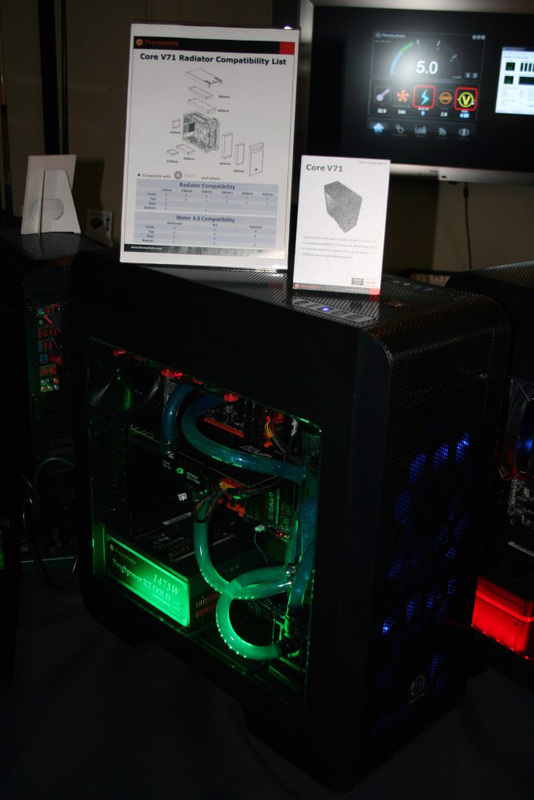 Highlighting the new case offerings were the Core V71 and Urban T81, both of which are eye candy to water cooling enthusiasts. 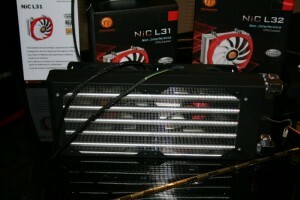 The full tower Core V71 supports radiators up to 420 mm at the top and front, a 120 mm radiator at the rear, and up to a 240 mm radiator at the bottom. The HDD cages feature a modular drive rack design that allows you to customize your storage options or remove portions as needed to facilitate front mounted radiators. 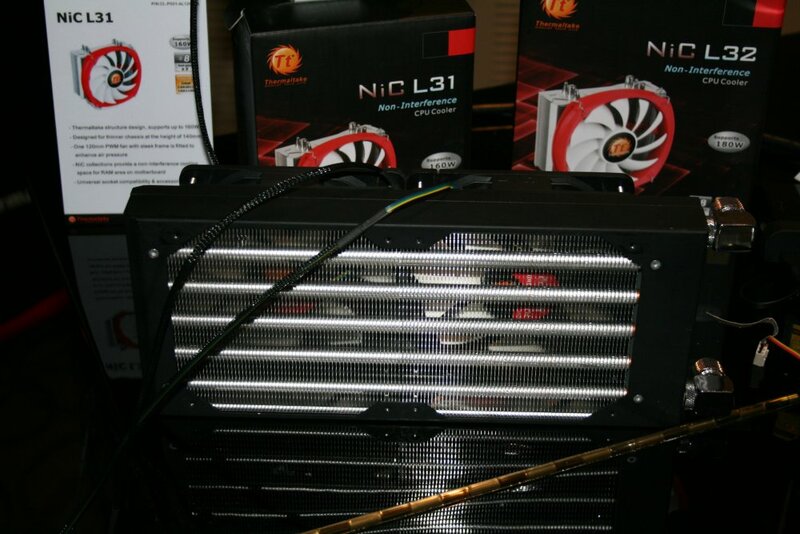 For air cooling, the Core V71 comes equipped with three pre-installed 200 mm LED fans with removable filters. The Urban T81 features a unique side panel design that incorporates a dual swing door design. The two doors meet a little forward of the center point and can be locked. 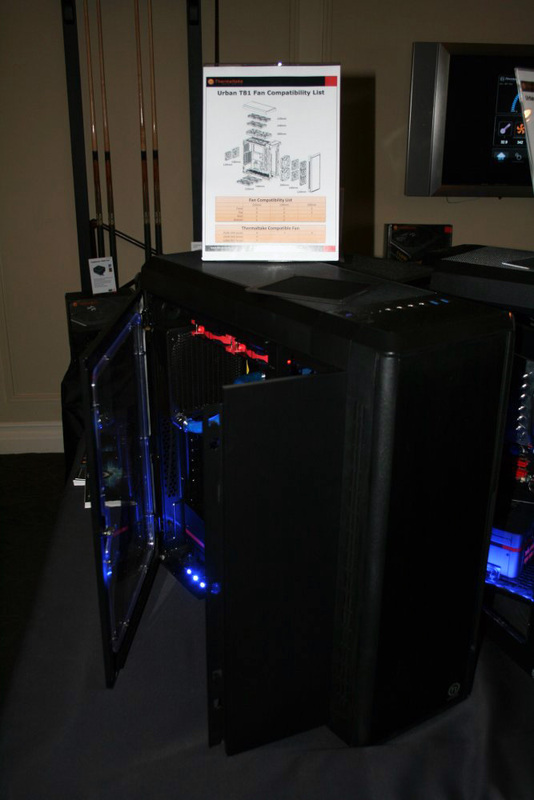 This design will provide quick access to the components inside without having to remove the side panel. The Urban T81 is also geared towards the water cooling enthusiast and supports radiators up to 420 mm at the top and front, up to 140 mm at the rear, and up to 280 mm at the bottom. 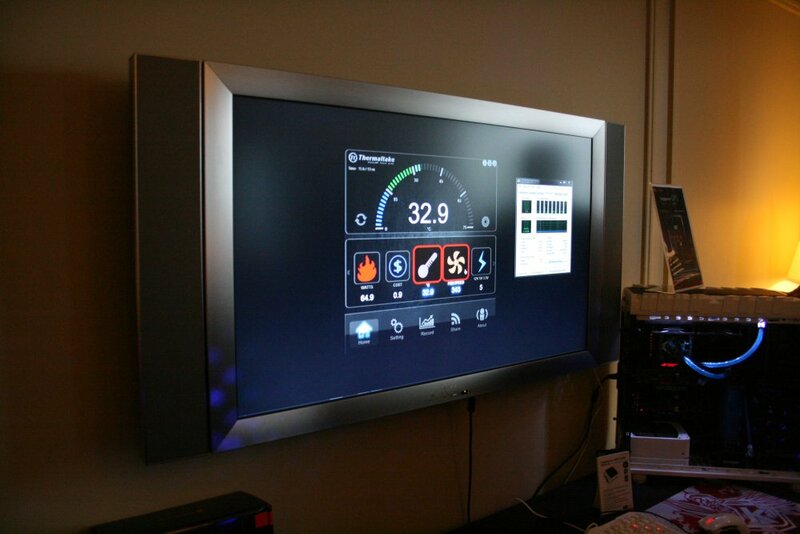 Just like the Core V71, we also have three pre-installed 200 mm fans and modular HDD cages. 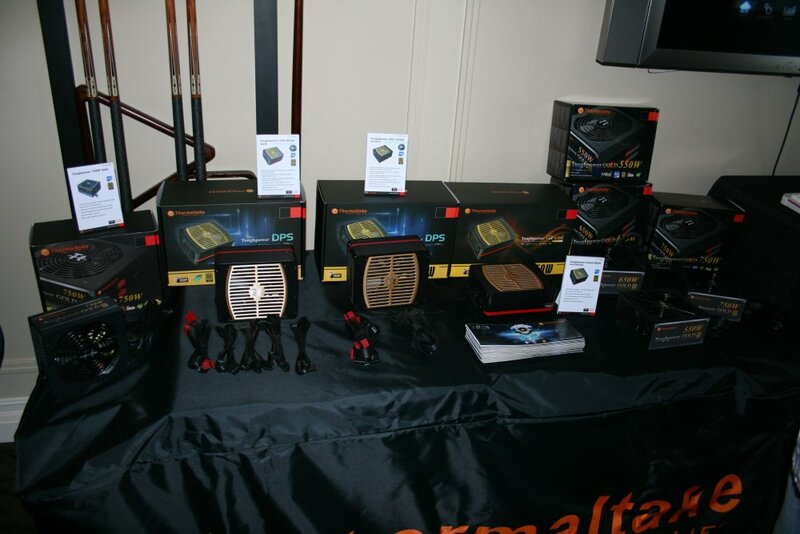 Thermaltake recently released its Toughpower DPS series of power supplies to market. We had a look at the DPS 850W Gold and DPS 1250W Platinum units that were on display. 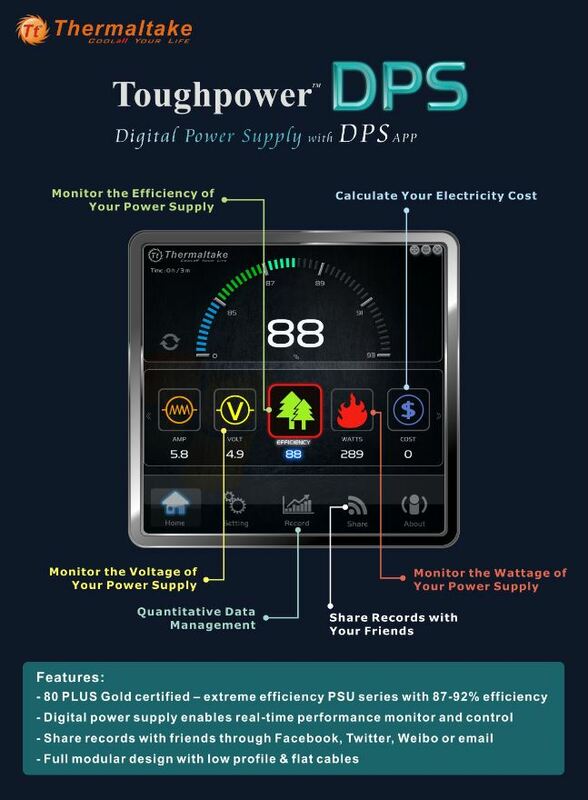 Both fully digital power supplies are 100% modular and can be monitored using Thermaltake’s DPS app via the USB interface. 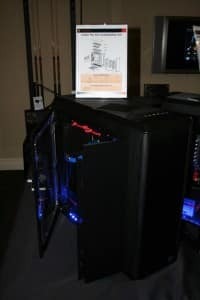 Most of the new water cooling components Thermaltake is working on are still in the design phase, but there is definitely a push towards individual components to compliment their all-in-one solutions. 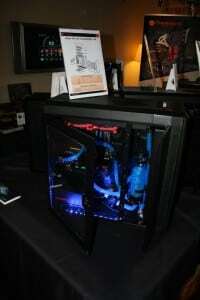 Below is a picture of a prototype radiator Thermaltake hopes to have ready sometime in 2014. They hope to have individual pump and reservoir products released in 2014 as well. 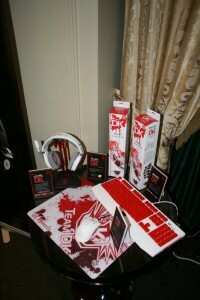 As expected, Thermaltake had a plethora of peripherals on display, which included headsets, mice, and keyboards. Most interesting is that high-end keyboards are beginning to incorporate onboard processors, which allow the user an almost unlimited amount of customization options related to the LEDs and hotkeys. Thermaltake is also in the process of designing their own keyboard switches similar to the Cherry MX design. This will allow them to control the manufacturing process and hopefully provide keyboards at an even more competitive price. 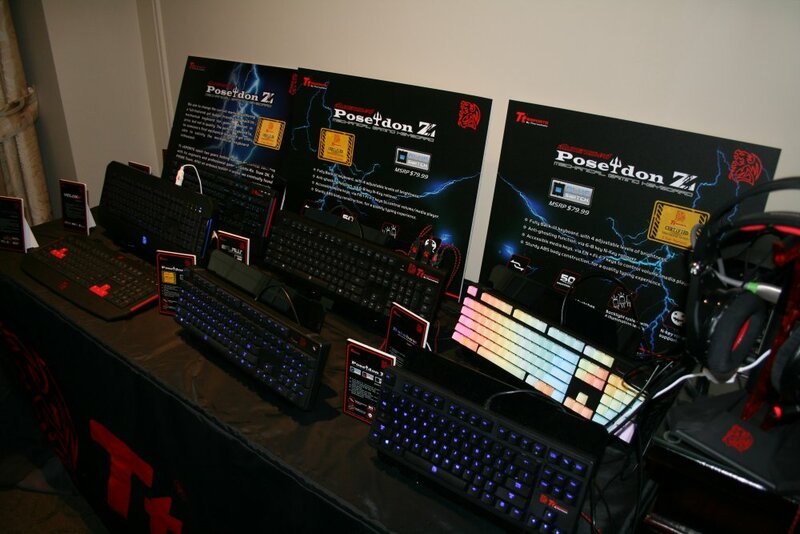 All and all, it looks like another exciting year ahead for Thermaltake… stay tuned!